Another children’s book! This time a 3* read. ‘I wanted to read Henry Hodges Needs a Friend because my son has struggled with making friends at school, and although things are much better now I still felt that it would be good to read a book about it. So while it’s a sweet little story it is not something that I will read for my son, he’d be on at me to get a dog!! 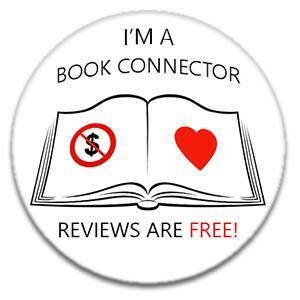 I received a copy of Henry Hodges Needs a Friend from the publishers via Netgalley in return for an honest review. A bit of a change for If Only I Could Read Faster with a children’s book! I’m sure that many of you won’t be interested in it but some of you might be, especially when it’s a 5* book that helps normalise different family set ups to children. ‘A Tale of Two Daddies tells the story of a little girl who is asked lots of questions by a friend in the park about life with two Daddies. The story normalises such a family set up which is wonderful to read. The little girl answers the questions in a matter of fact way, helping her friend to understand that having two Daddies is really no different from having a Mummy and a Daddy. Bonus points to this book for producing a book that will help children to understand different family make ups and that they are still families. My children liked this book and the clear pictures, they are already aware of different family set ups but it is good to reinforce that. It was a close call but I have given When She Was Bad 5*’s. And I will definitely be reading more by Tammy Cohen in the future. ‘This is my second Tammy Cohen book having read First One Missing last year which I thought was brilliantly written. I think that I have a new favourite author. When She Was Bad has short chapters that are each told from a different point of view. At first I was a bit confused due to the number of different characters but it didn’t take long to get into the swing of it. One of the main characters is Anne, based in America Anne talks about working with a little girl who had been rescued from what the media have dubbed ‘the house of horrors’ many years ago. All the other characters are in the present and based in England. Little seemed to tie them together, but as the story unfolded the connection became clear. Many times when reading When She Was Bad I thought that I’d worked it all out, at one point I was so sure I felt quite smug about it. Serves me right because Tammy Cohen had me guessing right until the end. Talking of the end I did feel that it was a little rushed which was a shame, I felt that a lot was smoothed over and not explained, but that didn’t stop it being a very clever piece of writing that I’m sure will keep most readers guessing right until the end. It would also appear that Tammy Cohen has a bit of a ‘thing’ about sweat (you’ll know what I mean when you read it! ), but also describes anxiety and insecurities that many people suffer from. When She Was Bad will be released on April 21st 2016 and is available for pre-order from Amazon UK here. ‘I first heard about When Breath Becomes Air when I was browsing in Waterstones. I read the blurb and thought that I needed to read this book, I rarely read true stories but this book almost seemed to be calling to me. I went home and looked online, the book had just been released and had some great reviews already. I really wanted to read this book. The book is split into two main chapters, two very long chapters. The first focused on Paul’s life before diagnosis, his education and reasons for going into medicine and neurology. According to my Kindle the first chapter took just over an hour to read, and there were very few pauses or breaks in the chapter. I’m a fan of short chapters so this was very strange for me, and I’m someone who hates stopping reading anywhere other than at the end of a chapter, but this wasn’t possible with this book. The second chapter is slightly shorter and focuses on what happened after diagnosis. What could be a very sad and depressing read is actually quite an inspiring and thought provoking book. Paul describes his thought processes well and spends quite some time in Chapter 1 talking about his beliefs and what drove him to become an exceedingly good neurologist. Chapter 2 talks about life after diagnosis, about what Paul had hoped to achieve in his life, and reflection on what he had and had not managed to do. He fought a brave battle and I think that many of us would hope that we would be able to face death with such aplomb. The book ends with a short chapter by Paul’s wife, finishing the book that Paul was unable to. Her strength also inspires. I’m left with a lot to think about, this book came at an interesting time for myself and this no doubt added a great deal to my experience of reading When Breath Becomes Air. I also can’t help but think about why these things happen, why a neurologist gets cancer in his brain of all places. I know of other similar instances, like an ophthalmologist with a benign brain tumour that will cause gradual blindness as it grows. This book has definitely left me with a lot to think about and ponder. When Breath Becomes Air is available from Amazon UK and Amazon US now. Watch the trailer for When Breath Becomes Air here.